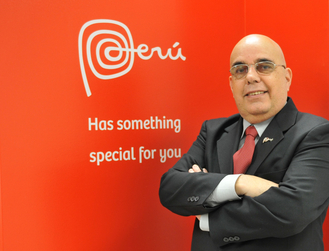 Mr. Jose Luis Peroni graduated from the University of Lima (Peru) in Business Administration. Soon afterwards, he completed a post-graduate degree in marketing from ESAN (School of Business Administration, also in Lima). Mr. Peroni also has a Master’s Degree in Business Administration and International Business from Capilano University, based in Vancouver, Canada. Mr. Peroni has over 25 years of experience in foreign trade and international business. He has worked as Consultant for the United Nations and Pro Uruguay; and manager of major Peruvian companies. He has also been an entrepreneur in the wood industry, and exporting textiles and apparel. Additionally, Mr. Peroni has been the President of the Textiles and Apparel Committee at the National Society of Industry (SNI, Peru) and the Peruvian Exporters Association (ADEX) and President of the Consulting Committee of the National Service for Industrial Labour (SENATI, Peru). From January 1st, 2012 until August 1st, 2018, Mr. Peroni worked for the Ministry of Foreign Trade and Tourism of Peru as Director of the Trade Office of Peru in Toronto, Canada – OCEX Toronto.